Staying active while on vacation is a goal most people have and few people meet. Between jam-packed itineraries and how amazing it feels to sleep in, finding time to hit the gym or the streets to work up a sweat can seem like more trouble than it’s worth. However, research has shown time and time again that regular, daily exercise keeps us healthy in the long-term and in the short-term, which means that even while we’re far from home enjoying a much-deserved break from our regular routine, exercise should still play a role in our vacation plans. If you’re planning on coming to the Niagara region for a vacation, here are some exercise tips well-suited to a holiday in Niagara. One of the easiest ways to make sure you get some exercise while you’re on vacation in Niagara Falls is to plan your stay at a Niagara hotel that has an exercise and fitness room. 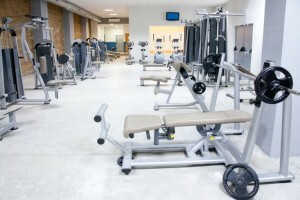 Whether you prefer weightlifting or cardio workouts, a good hotel fitness room will be able to accommodate you. When you make having access to a hotel gym a priority, you more easily set the stage for making sure your vacation includes some sweating, hard work, and an elevated pulse. The Niagara region is rich in sights and events, which means: If you’re serious about exercising when you come for a vacation, you’re going to have to schedule it in your itinerary each and every day. Whether you pencil it in before you grab breakfast at one of Niagara’s great bakeries with your family, or you reserve an hour right before dinner at one of the area’s finest restaurants, treat exercise the way you would treat the start time of a vineyard tour, and you’ll have no trouble fitting in exercise amidst all the sights and sounds of Niagara. Walking is one of the best exercises you can get, and there are plenty of ways to build a good, solid walk into a day’s outings around Niagara Falls. For instance, if you stay at the Falls Avenue Resort, you’ll be between a 20-minute and 30-minute walk from the Maid of the Mist. Or, drive to the Botanical Gardens, and walk to the Floral Clock, which is just 2.2 kilometers away. However you do it, build an itinerary that includes travel by foot, and you’ll save on gas and get exercise that won’t tire you out too much, preventing you from enjoying yourself. There is a lot of good hiking in the Niagara Falls region, especially in the Niagara Glen Nature Reserve. 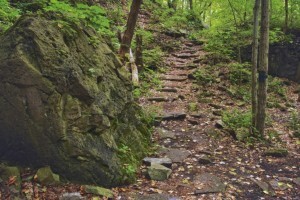 Whether you’re an avid outdoors person or someone who only ventures onto a trail when dragged, consider getting the exercise you need during a mid-morning or afternoon hike on the Niagara Glen’s many trails. Not only will you get your heart rate up, but you’ll also be enveloped in the lush flora of the Niagara region. The trails at the Glen have many unique point of interest, too, so your mind and senses will be as engaged as your legs and lungs. Visiting Niagara Falls doesn’t have to keep you from maintaining your fitness regimen. From walking to your destinations to booking a hotel with a gym, follow these tips, and you’ll easily stay in shape in Niagara.